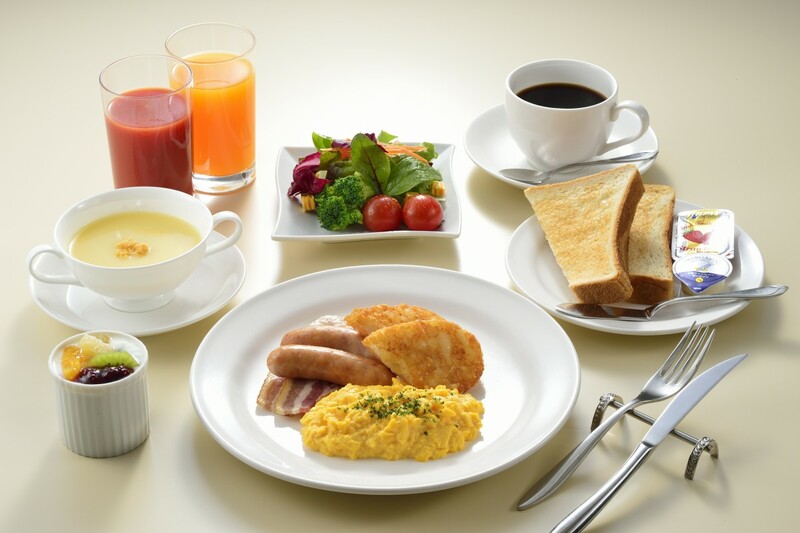 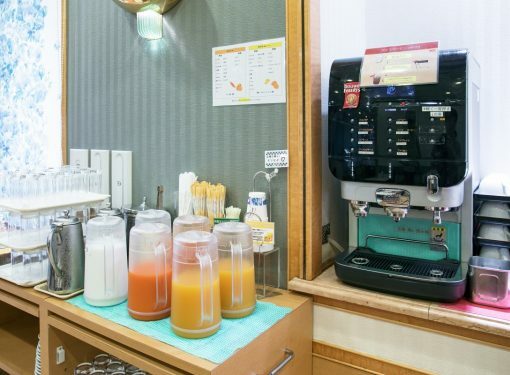 You can choose Japanese-style or Western-style set meals for breakfast. 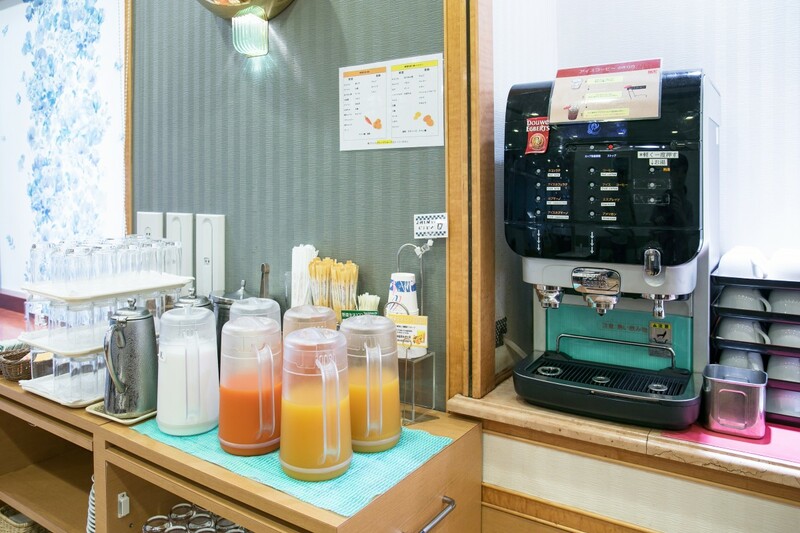 Lunch all comes with salad bar and coffee. 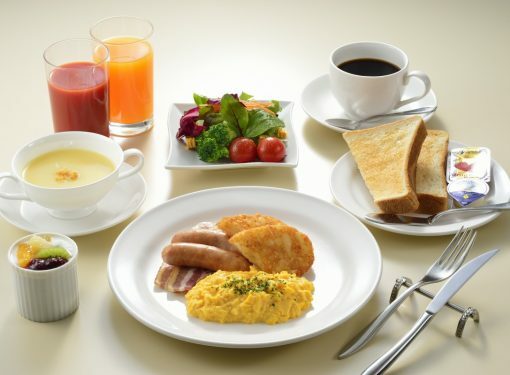 American breakfast comes with bread and hot egg dishes. 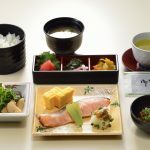 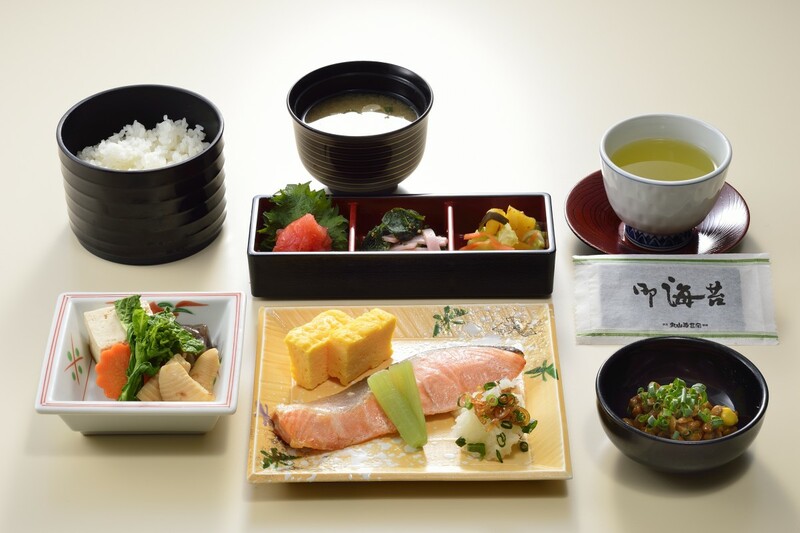 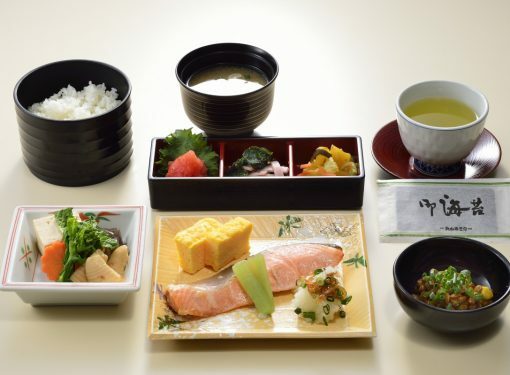 A typical Japanese-style breakfast including rice, grilled fish, miso soup and small dishes. 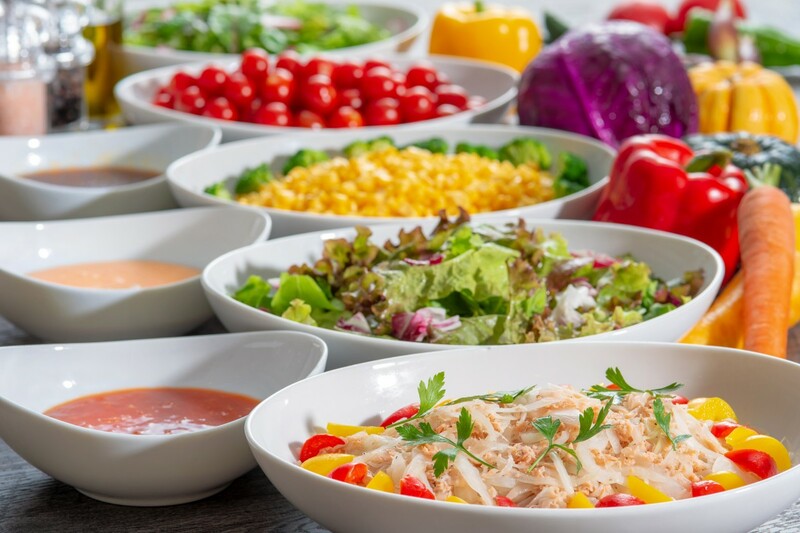 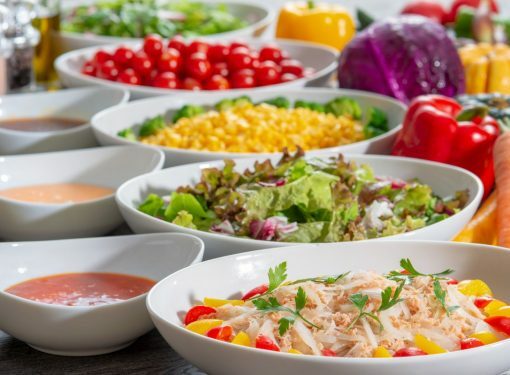 Lunch menu is served with salad bar and drink bar.